Source – This article appeared in the Hong Kong Economic Journal on May 3. A growing number of bees, butterflies, beetles and other pollinator species worldwide are being driven toward extinction, a two-year study shows. These species are threatened by diverse pressures, many of them caused by humans, the study, by the Intergovernmental Science-Policy Platform on Biodiversity and Ecosystem Services, found. Millions of livelihoods and hundreds of billions of dollars worth of food supplies are at stake, it said. This is no exaggeration, as nearly 90 percent of wild flowering plants depend to some extent on animal pollination, and 75 percent of the world’s food crops depend at least in part on pollination. No wonder Albert Einstein once said: “If the bee disappeared off the surface of the globe, then man would have only four years of life left. Never look down upon the little creatures: an estimated US$235 billion-US$577 billion worth of annual global food production relies on direct contributions by bees and other pollinators. A single bee colony alone can pollinate 300 million flowers each day. One in three crops depends on pollination assisted by bees. In recent years there has been a sharp plunge in the population of honeybees. Scientists believe that the disappearance of honeybee colonies is linked to colony collapse disorder (CCD), which is probably triggered by pesticides, diseases, parasites, genetically modified crops, urbanization and global warming. Evidence shows that neonicotinoid insecticides are principally responsible for CCD among honeybees. The chemical damages the central nervous system of the bees, affecting navigation, memory and eventually paralyzing the insect. What is worse is that infected bees are still able to survive for some time. 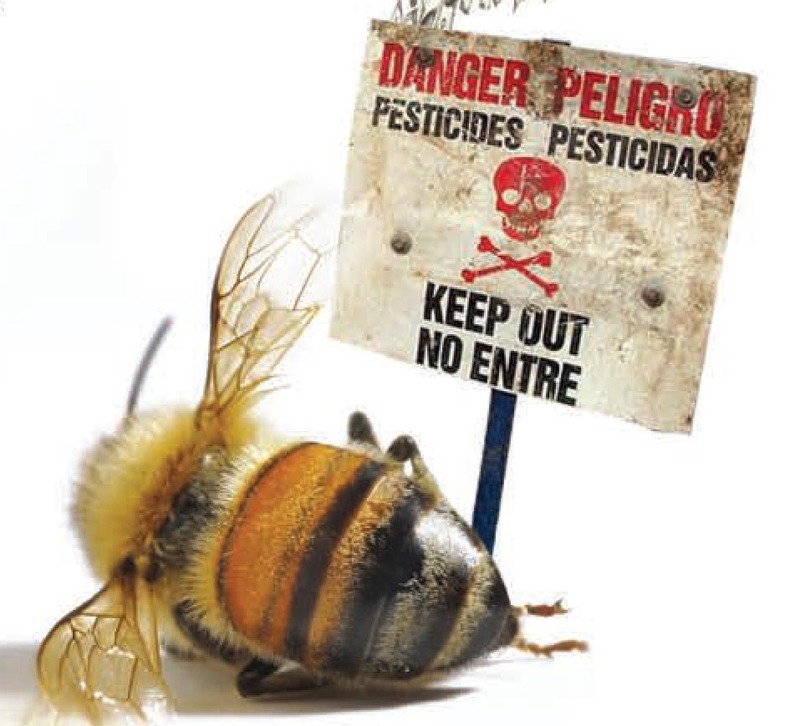 As a result, nectar containing neonicotinoid can be brought into beehives, putting every bee in the colony in danger. Genetic modification of crops creates unexpected risks and impacts to the ecosystem. Bt maize is maize that has been genetically modified to produce an insecticide — Bacillus thuringiensis protein — that kills certain chewing insects. As an unintended effect, honeybees also stop eating and become weak after taking in the protein. Veteran beekeeper Yip Ki-hok told me that Hong Kong’s wild bees have been spared the risks brought by GM crops, because there is no large-scale farming in the city. Nevertheless, climate change has adversely affected the bees. Because of the abnormally cold weather last winter, the yield of honey during the period was quite poor. The authorities have been suggesting turning land in country parks into concrete jungles in the Northeast New Territories. Construction projects would put the bees in danger, because of the massive removal of plants — their food sources. It’s a matter not only of whether locally made honey is available but the life or death of the planet, because of the effects of such human activities on the balance of the ecosystem and the world food supply.